This entry was posted on Saturday, April 28th, 2012 at 7:02 pm	and is filed under 2012 Books, Geek Joy. You can follow any responses to this entry through the RSS 2.0 feed. Both comments and pings are currently closed. 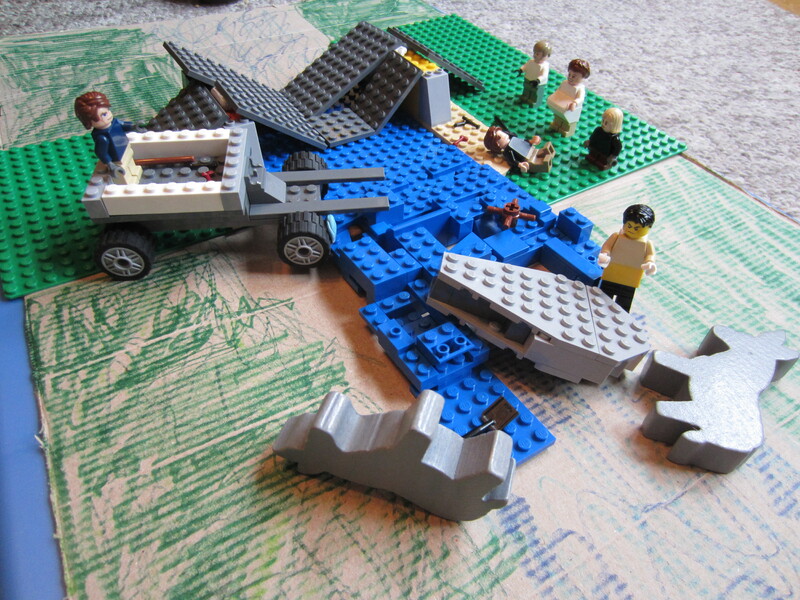 OK, so, not every book inspires you to do this, but surely some of Flannery O’Connor’s stories would? This makes me so happy I can’t stand it. Susan, I’m so glad you do, since you were the one who spurred me to read the book, which resulted in this fit of bizarre creativity! That’s too funny!! 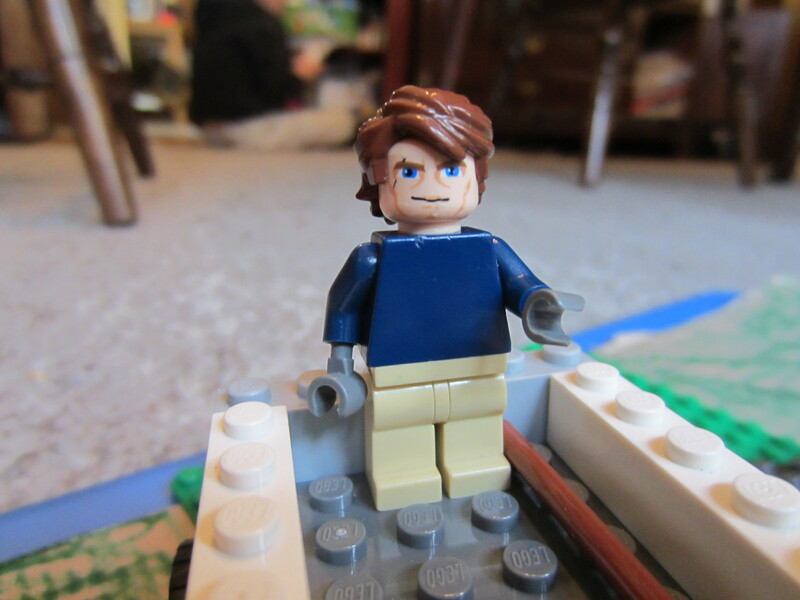 I did guess that some of the pieces were from Star Wars sets. 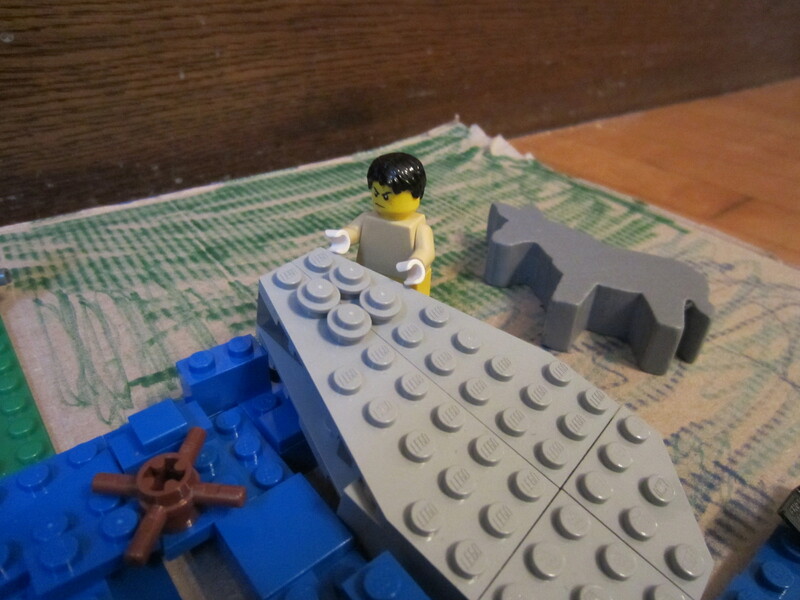 Someone very creative should make an entire book of classic lit dioramas made out of Lego, like the Peeps dioramas. 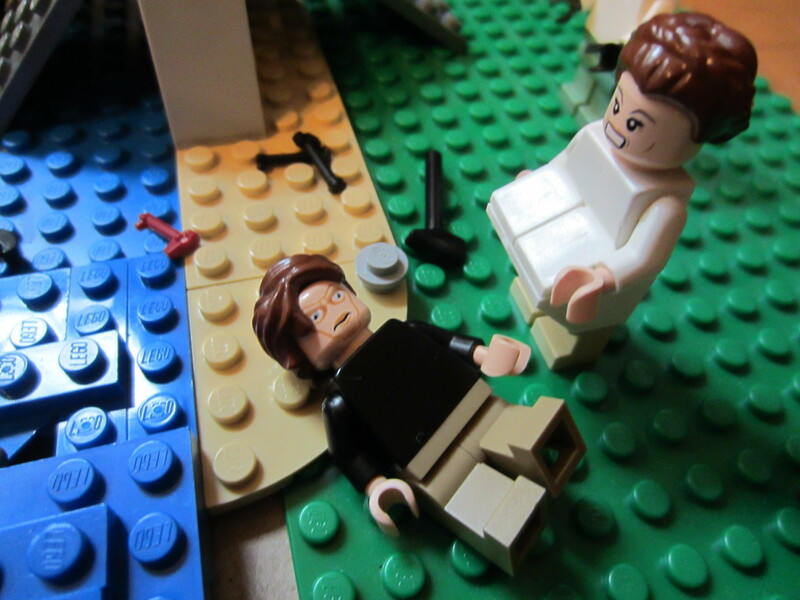 There’s a book of Bible scenes made of Lego (The Brick Bible) — why not classic lit? Anse: did you connect the name? I can hear Guppy’s Great Granny saying how his Great-great Granny saw Devil Anse Hatfield in the creek (”they traveled in the creek so no one could track them”). Got so scared, she ran away.